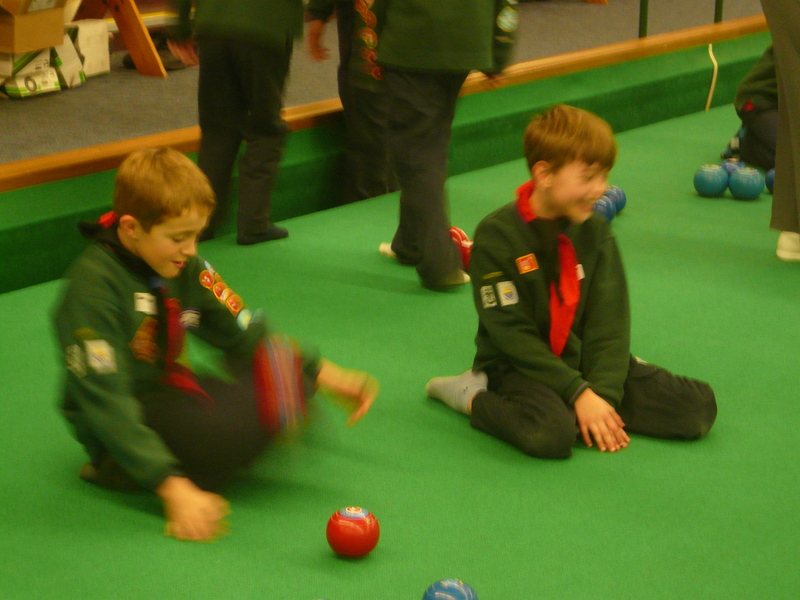 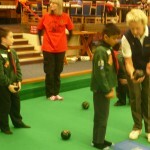 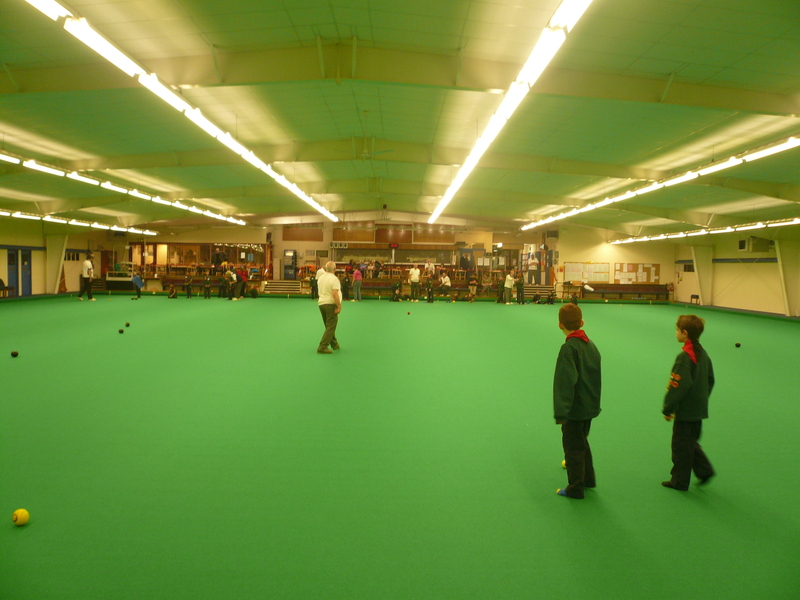 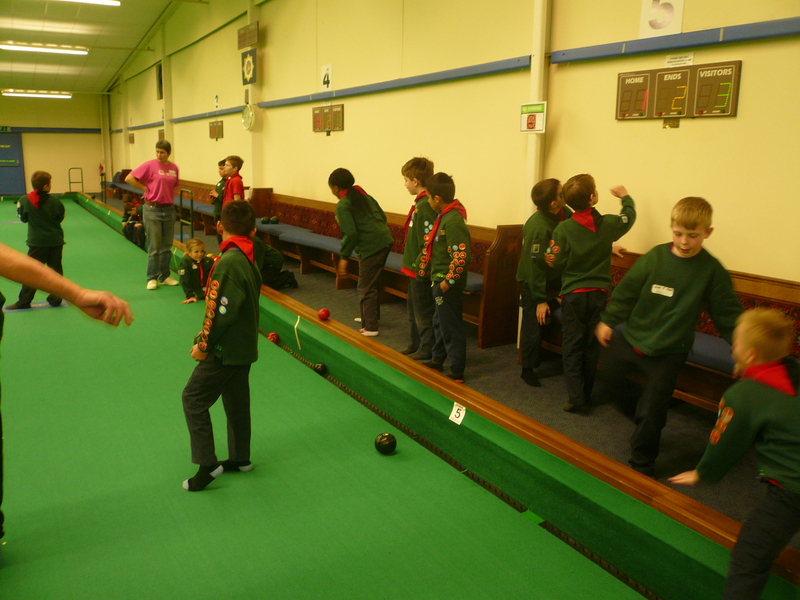 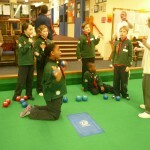 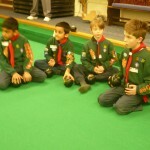 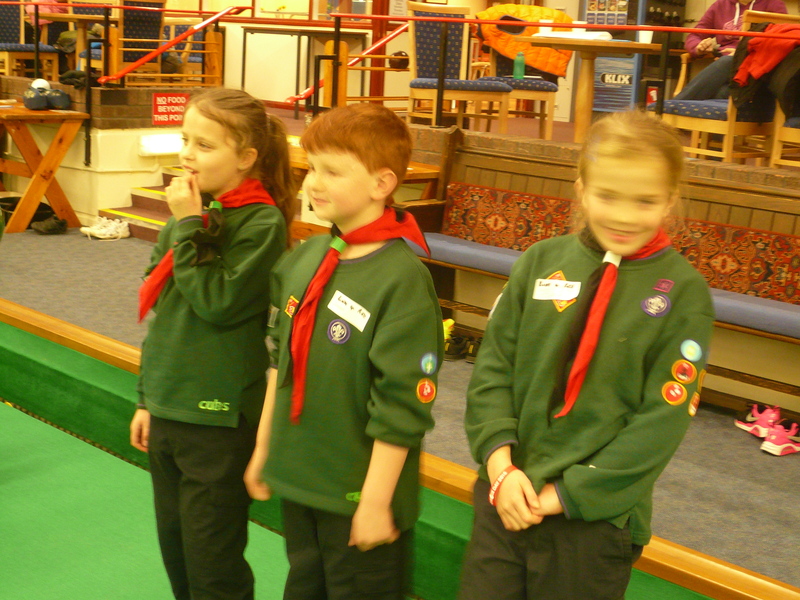 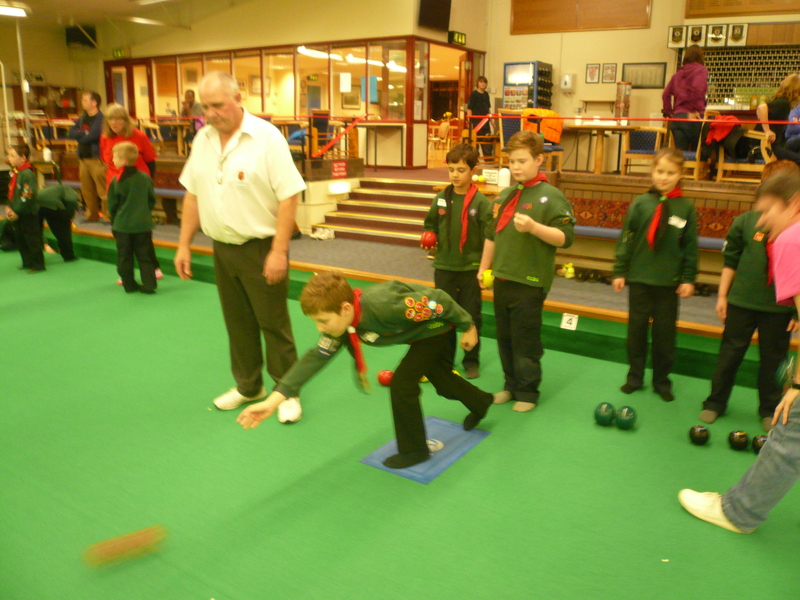 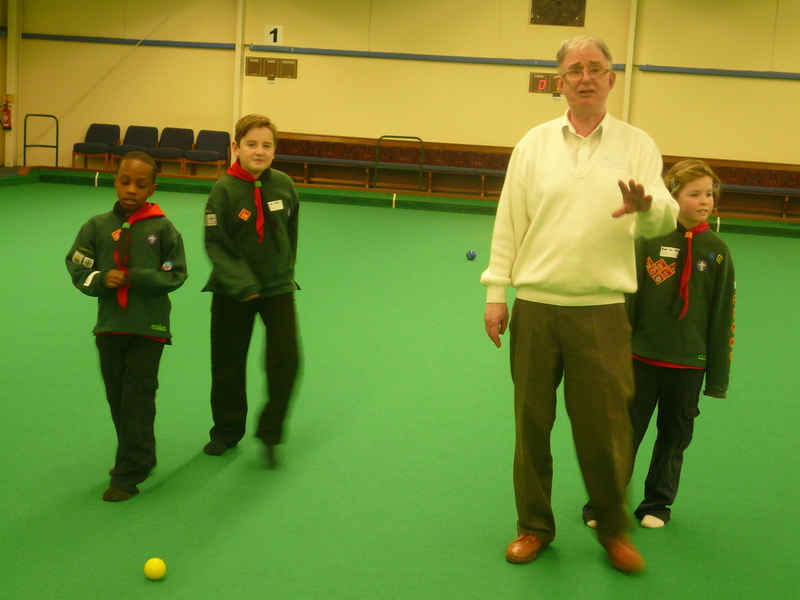 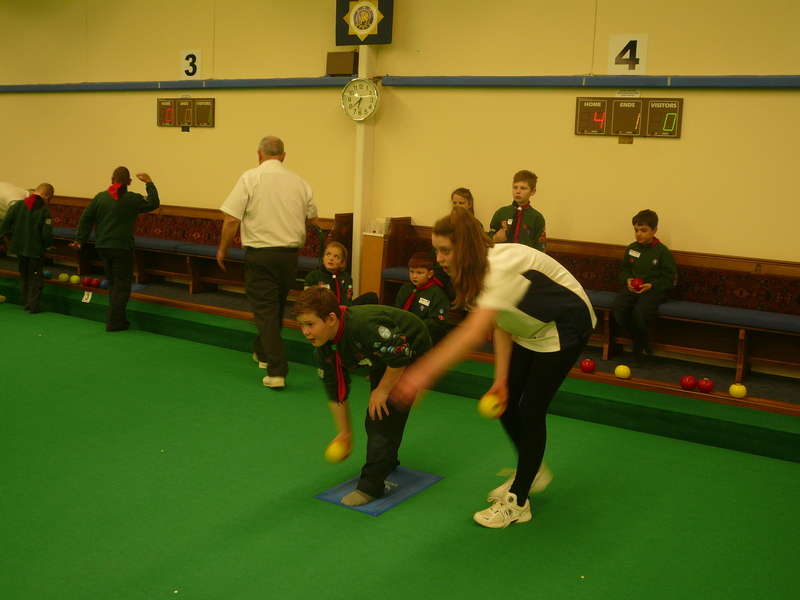 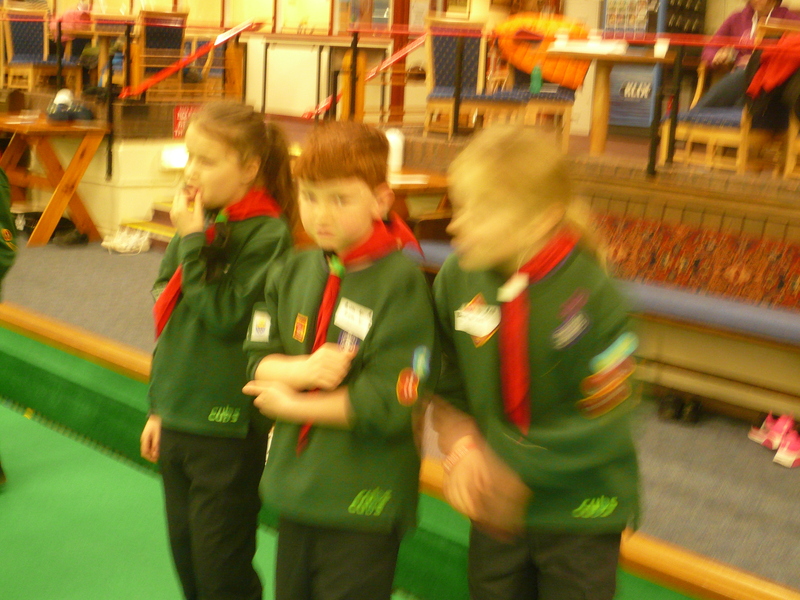 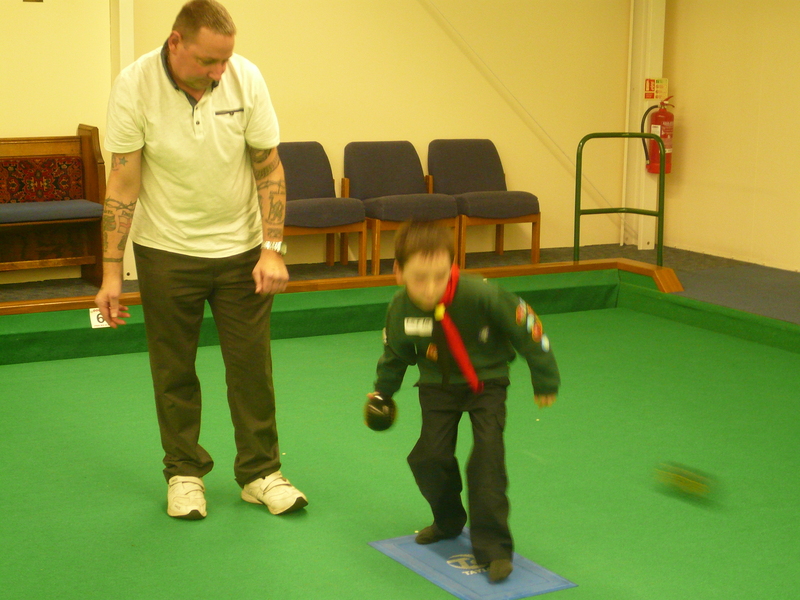 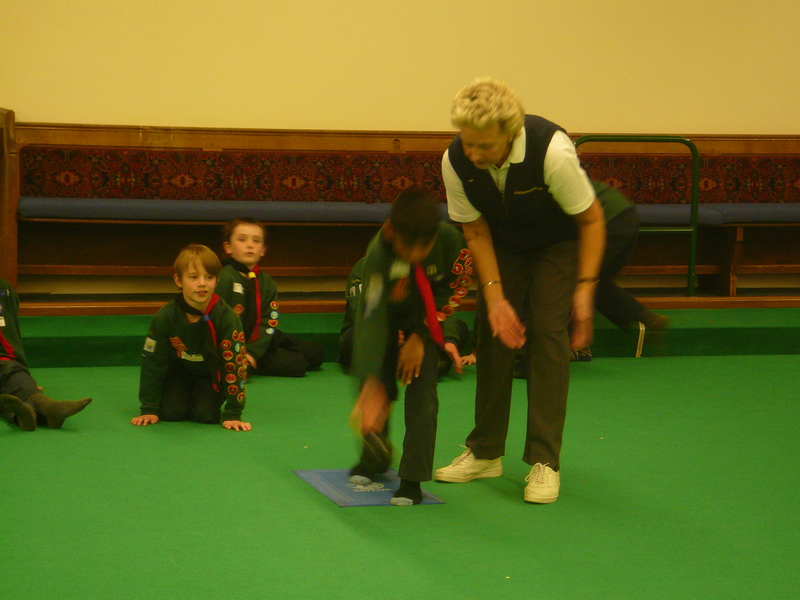 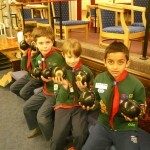 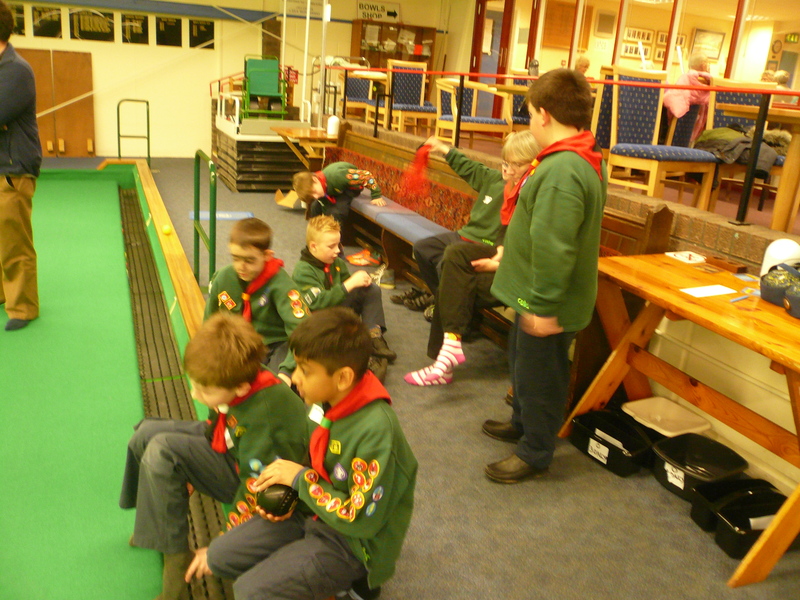 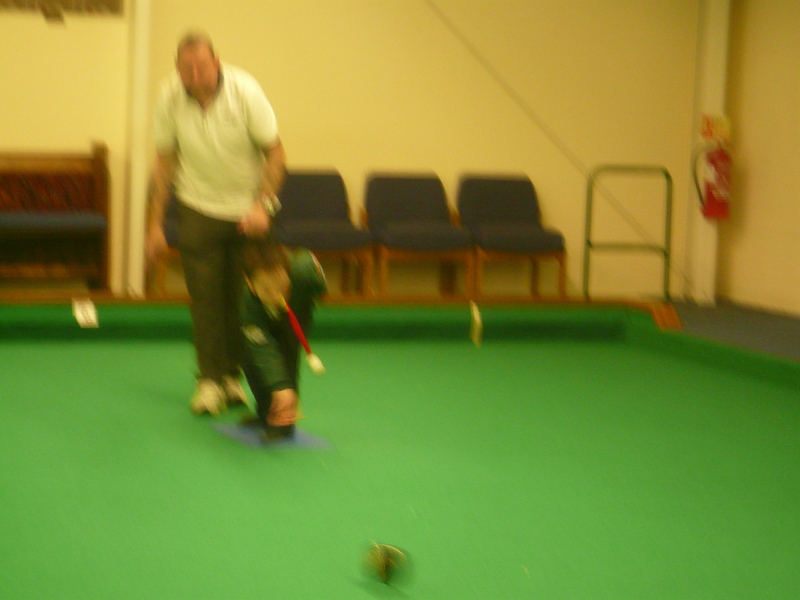 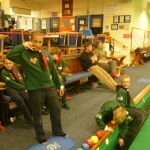 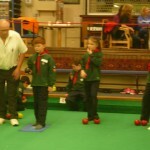 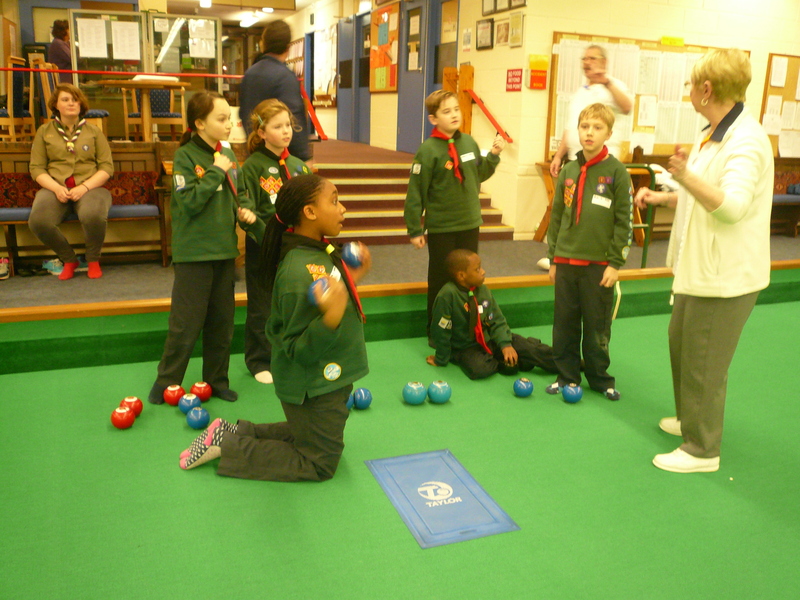 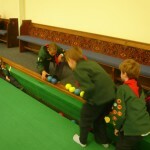 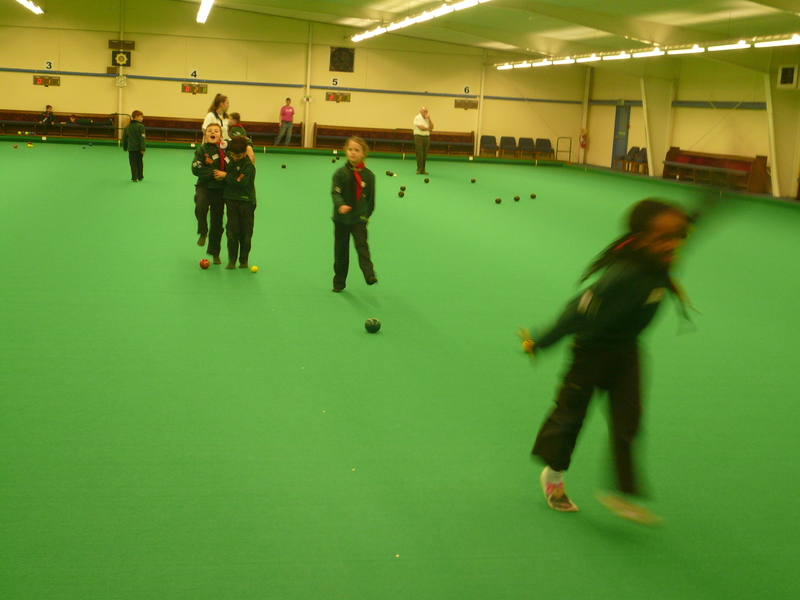 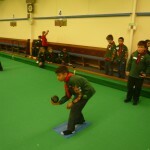 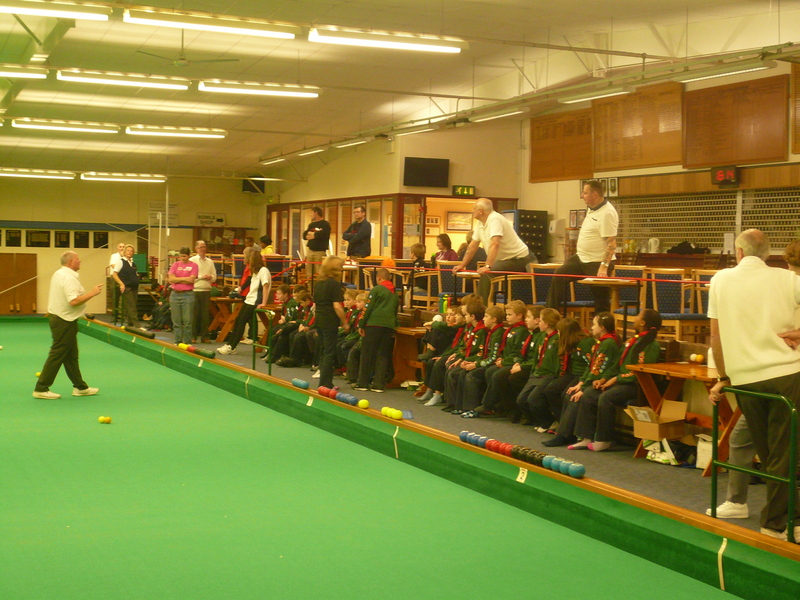 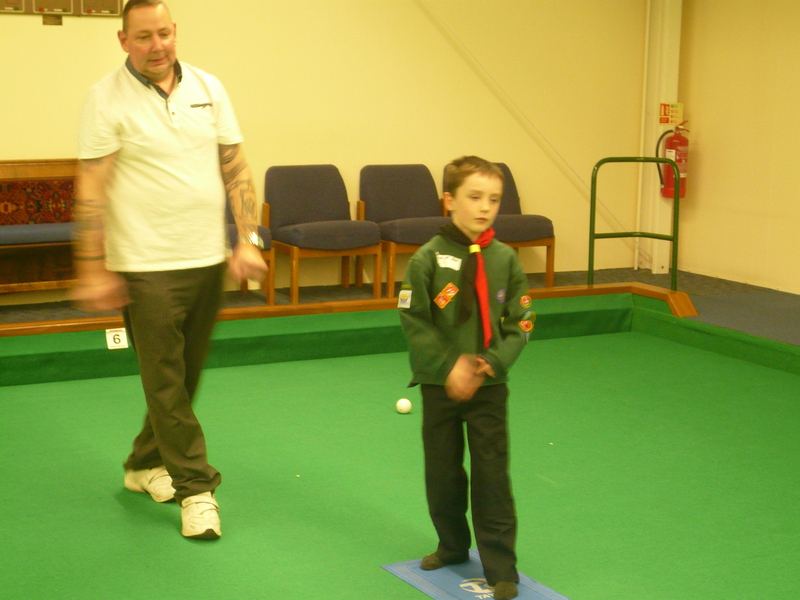 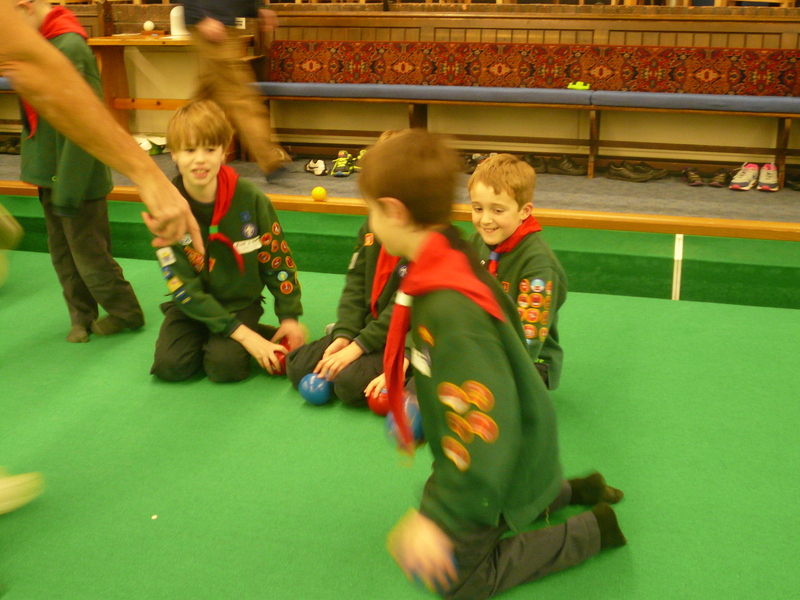 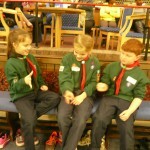 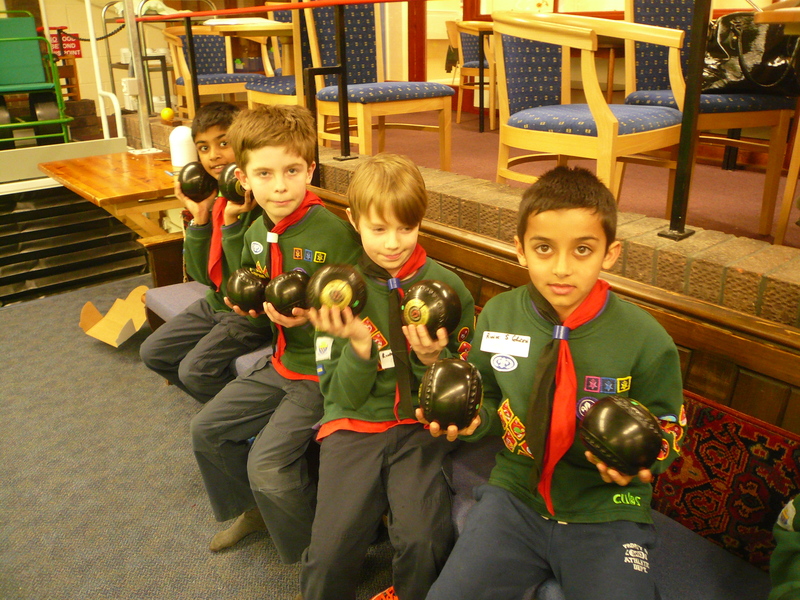 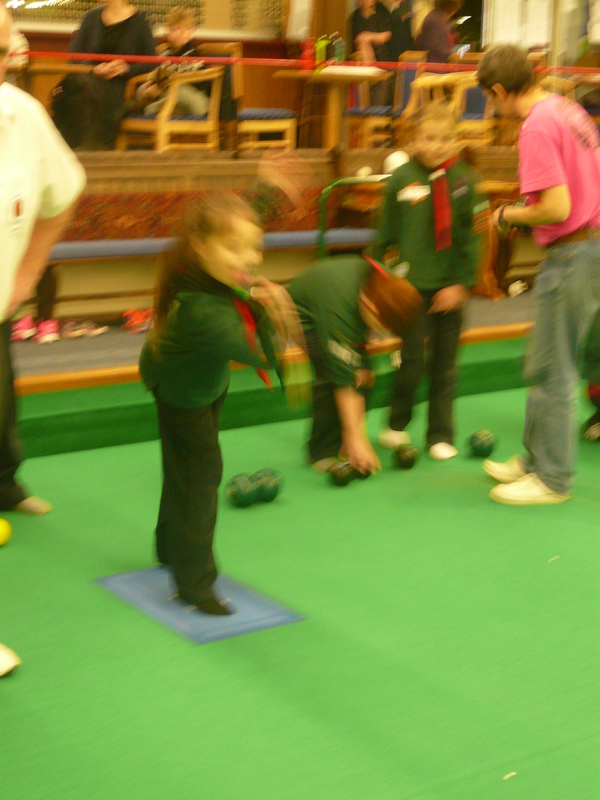 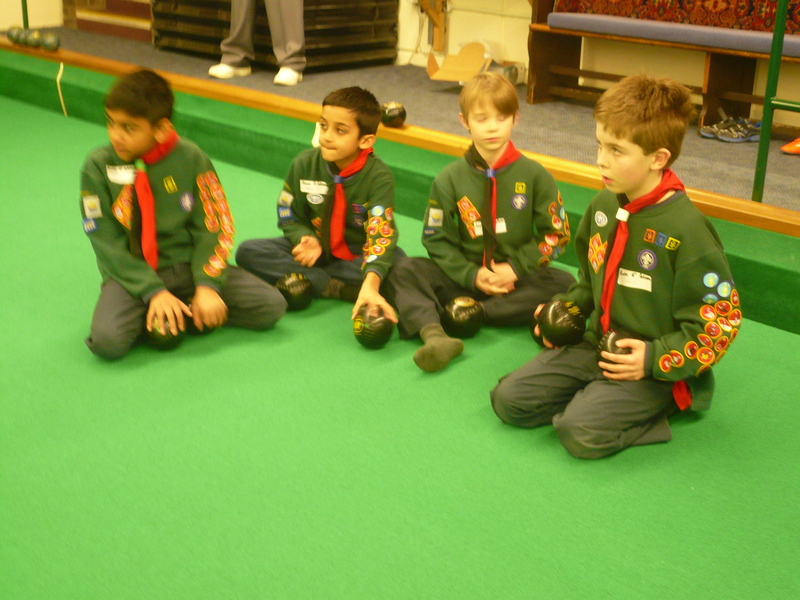 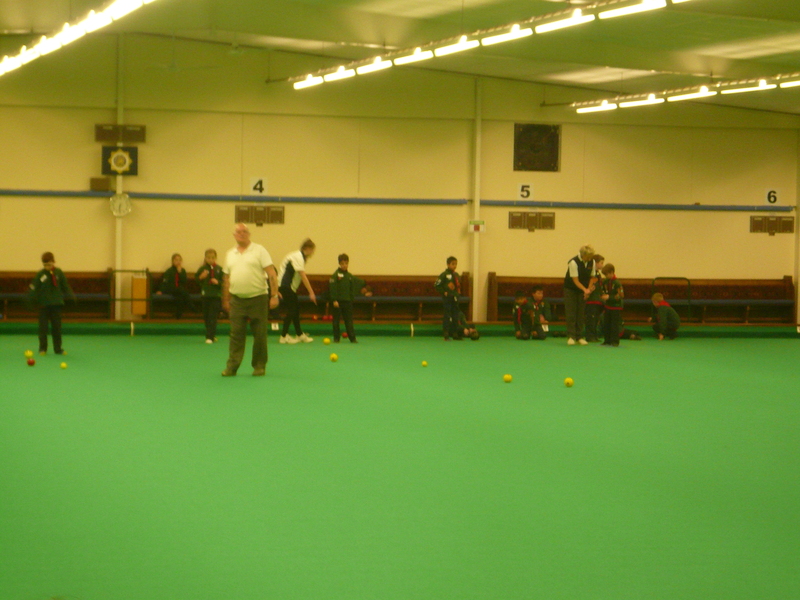 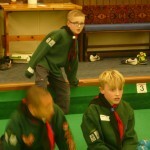 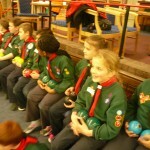 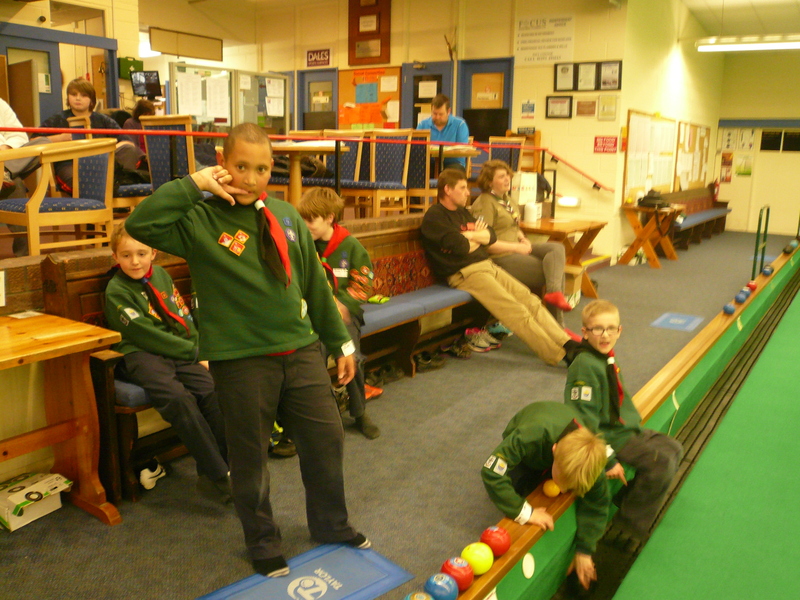 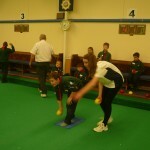 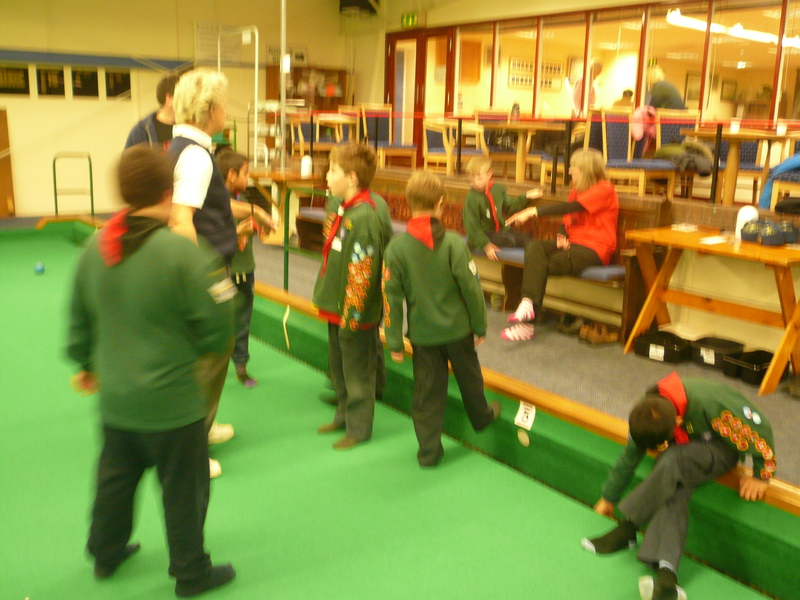 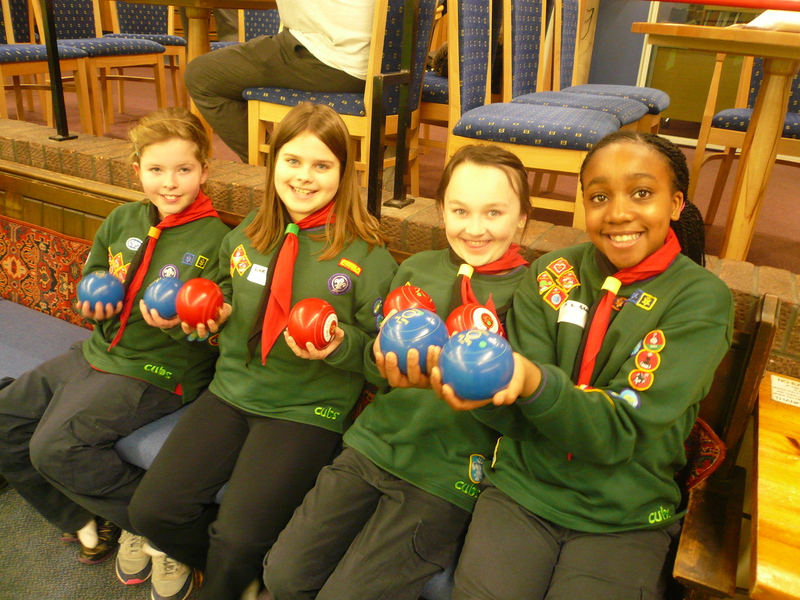 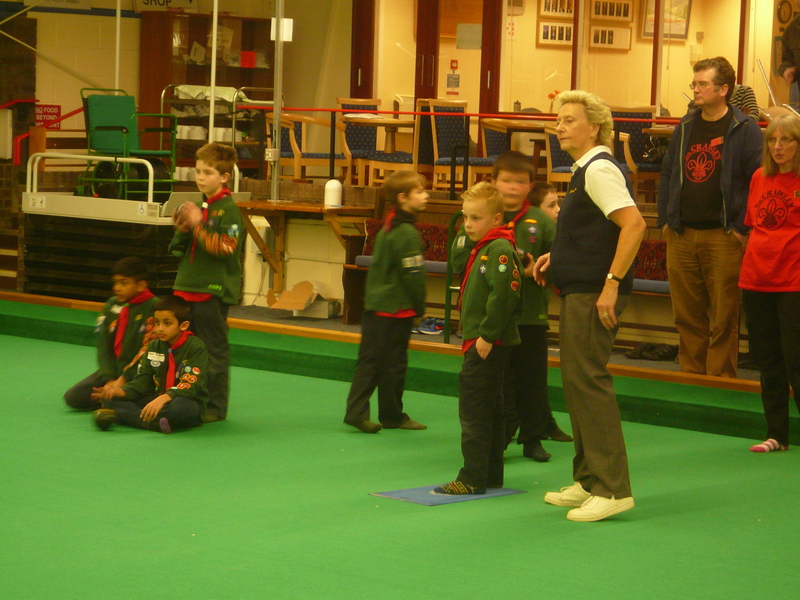 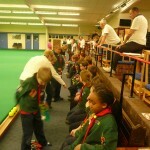 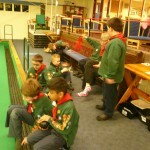 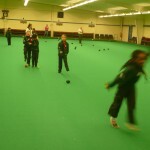 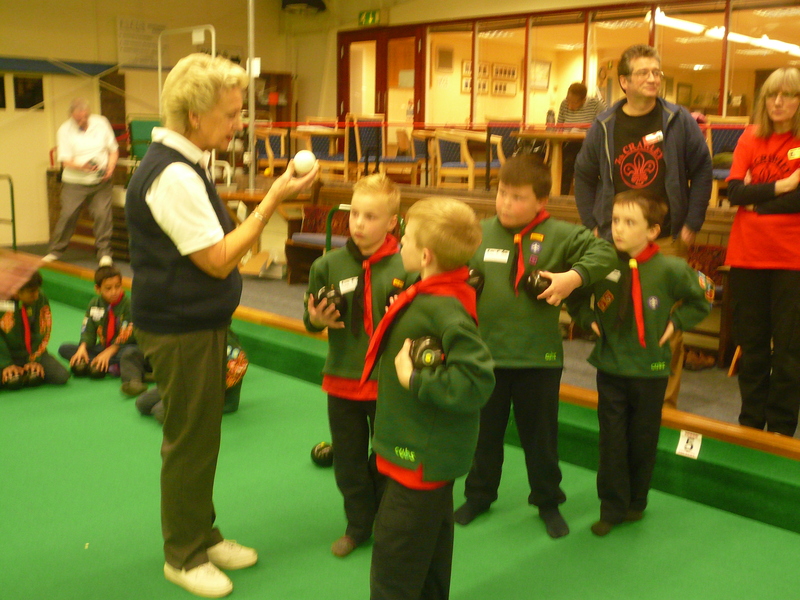 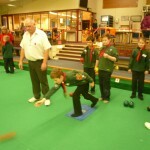 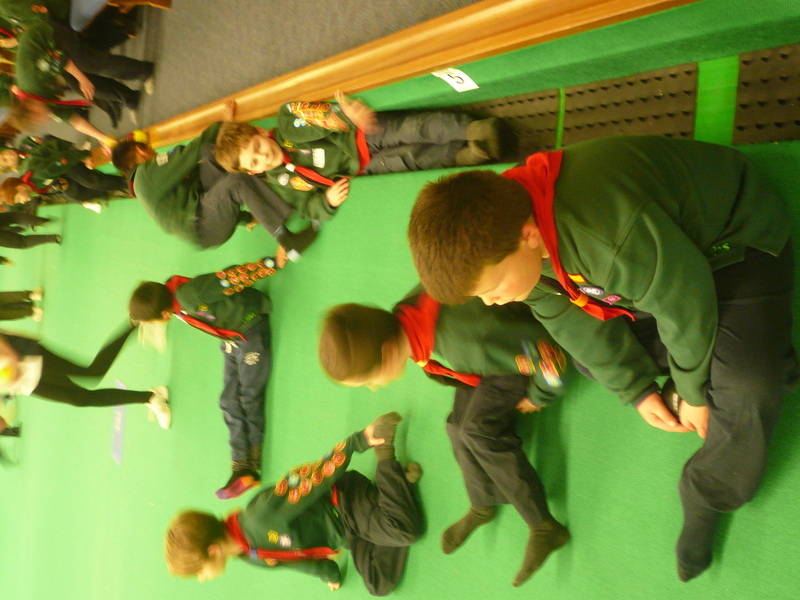 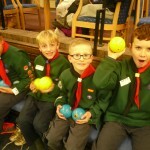 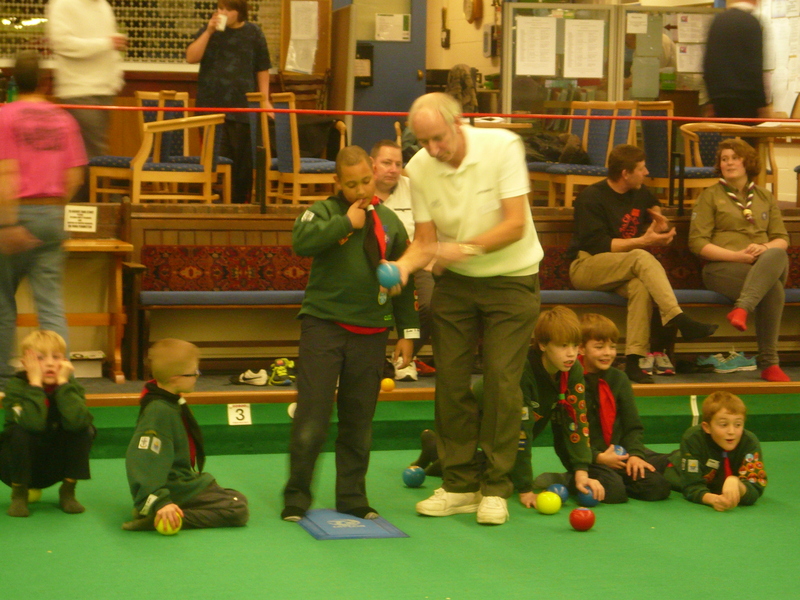 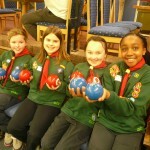 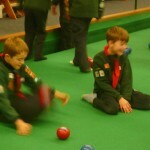 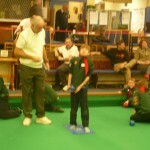 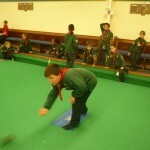 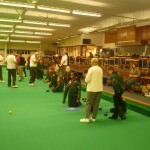 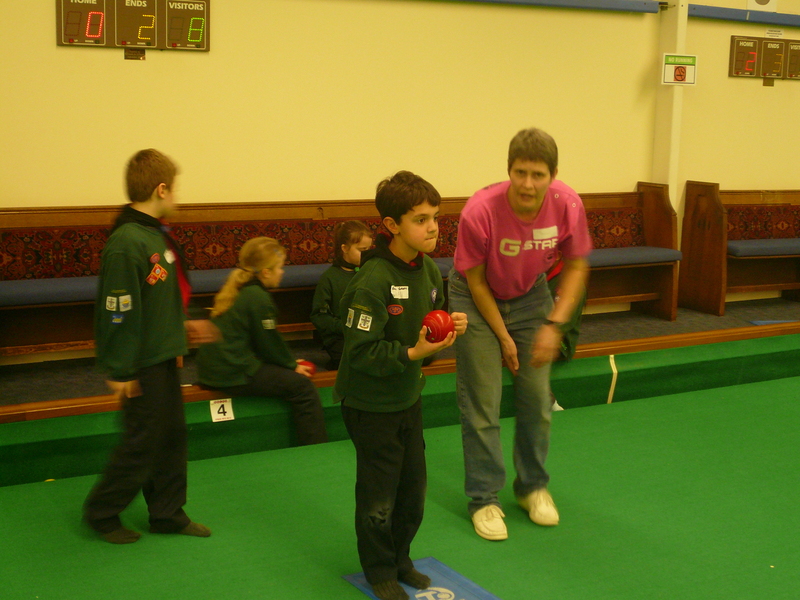 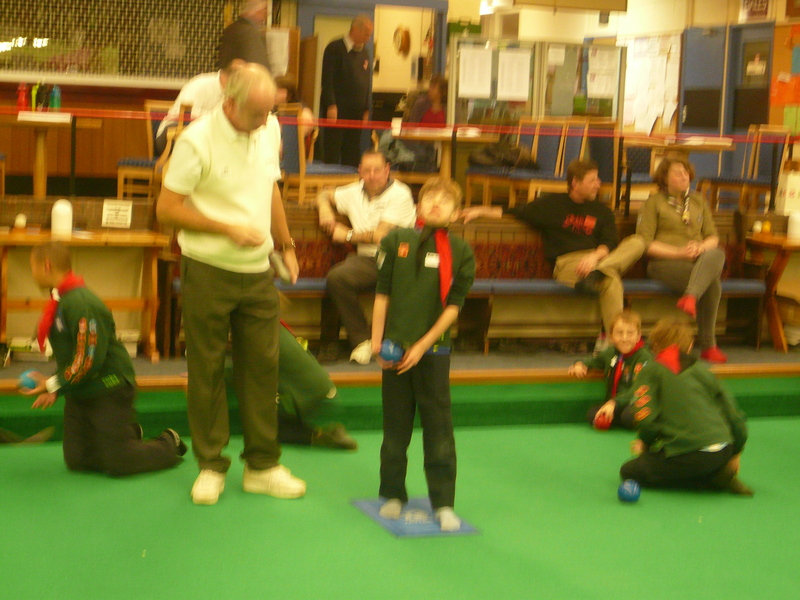 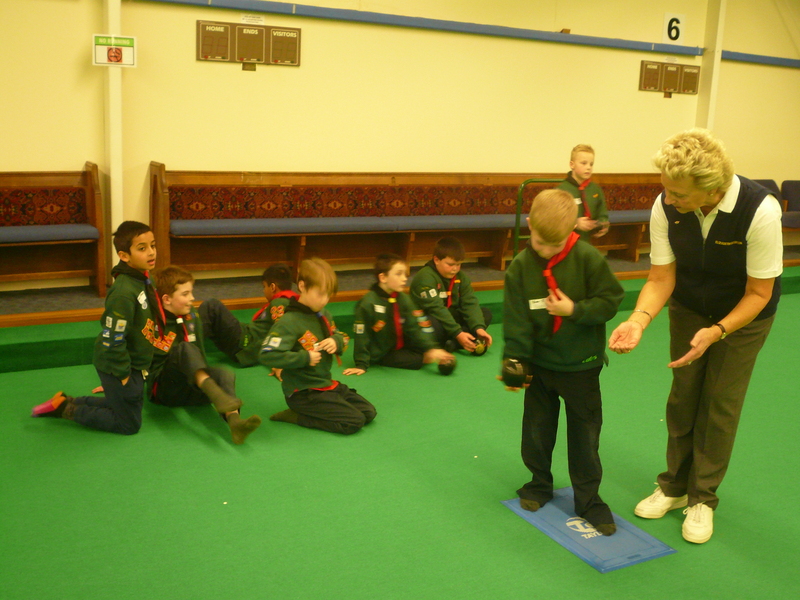 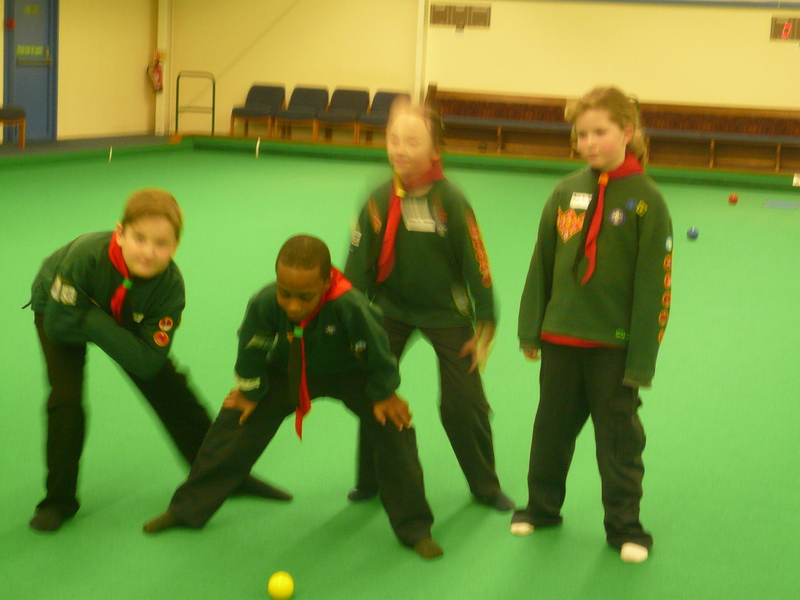 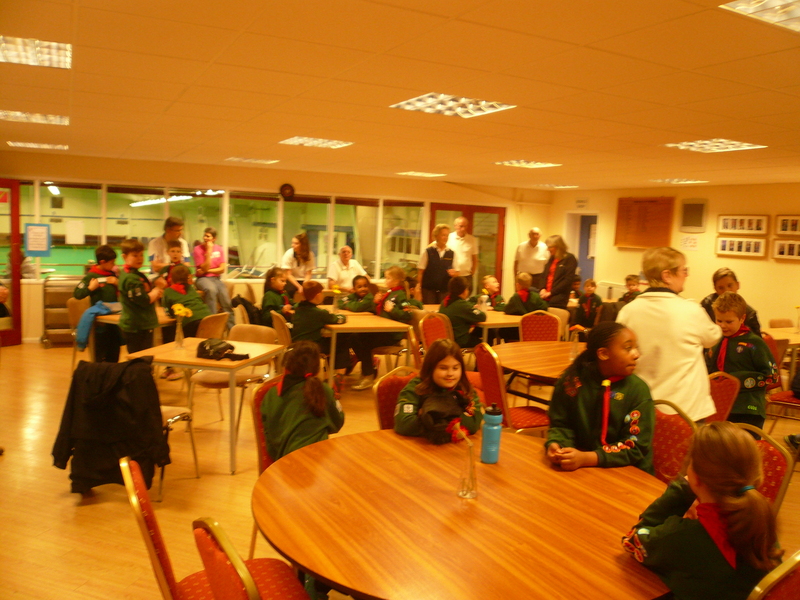 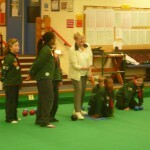 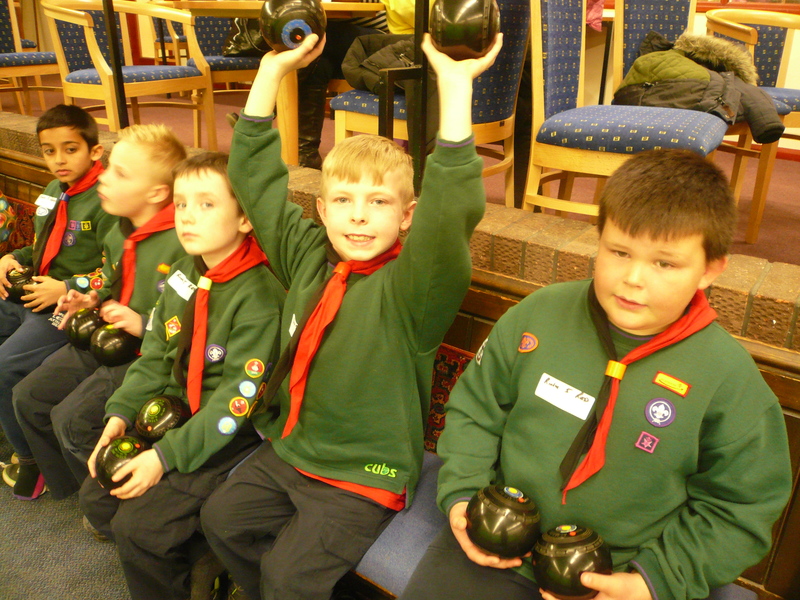 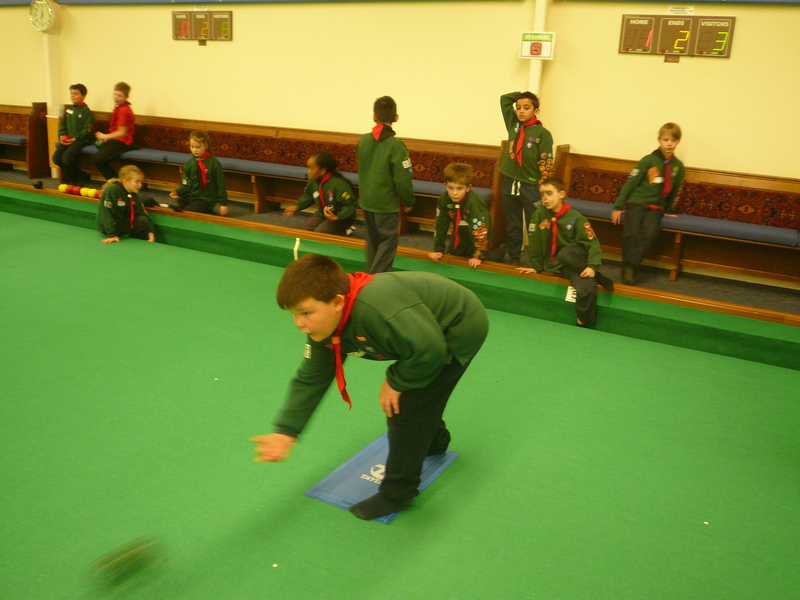 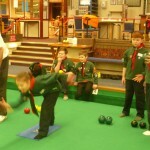 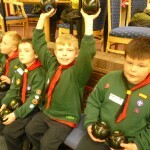 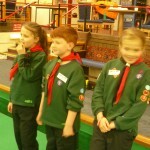 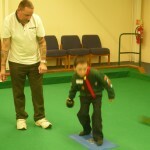 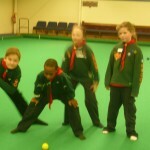 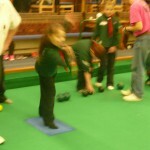 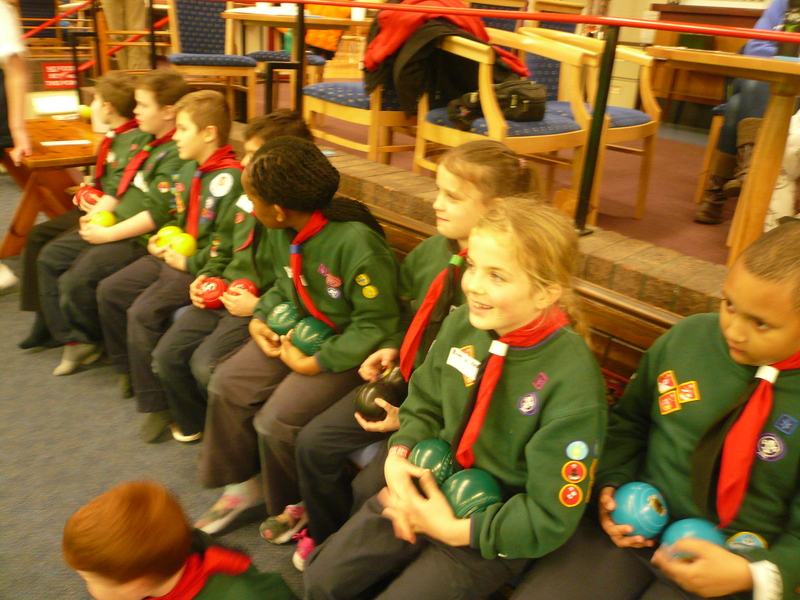 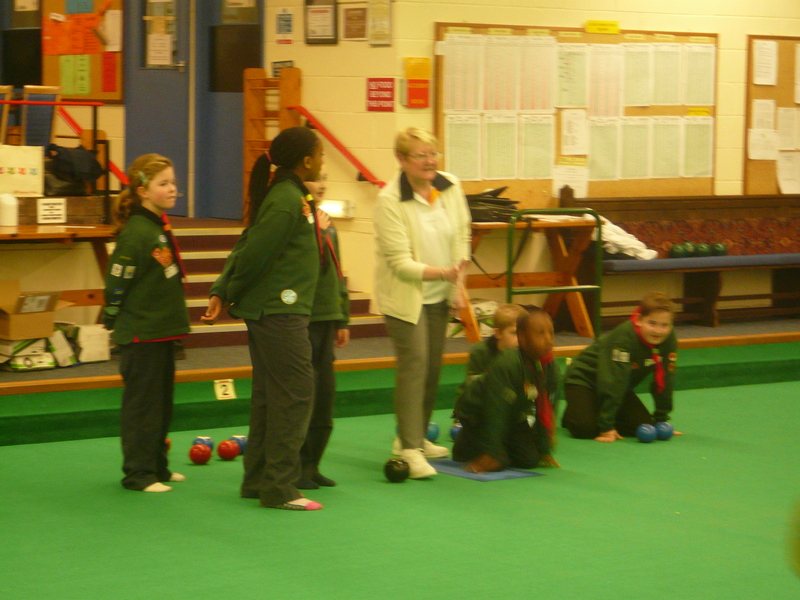 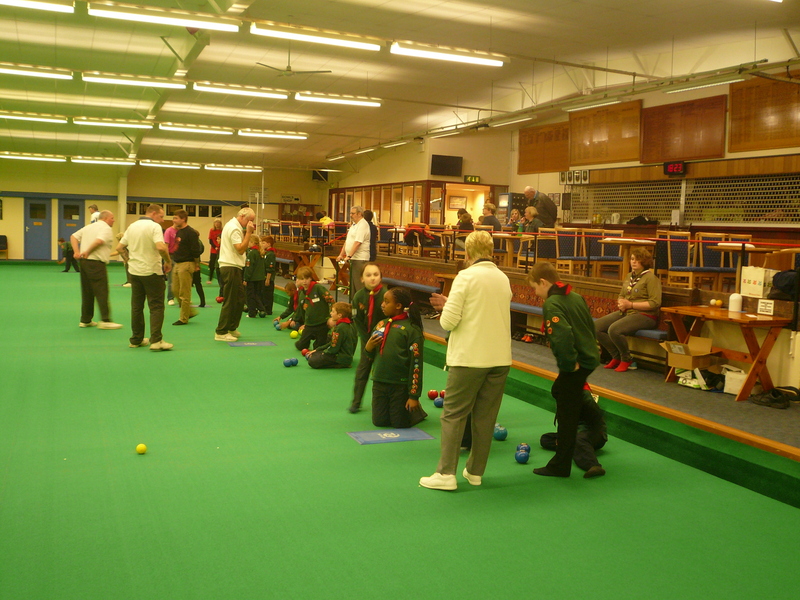 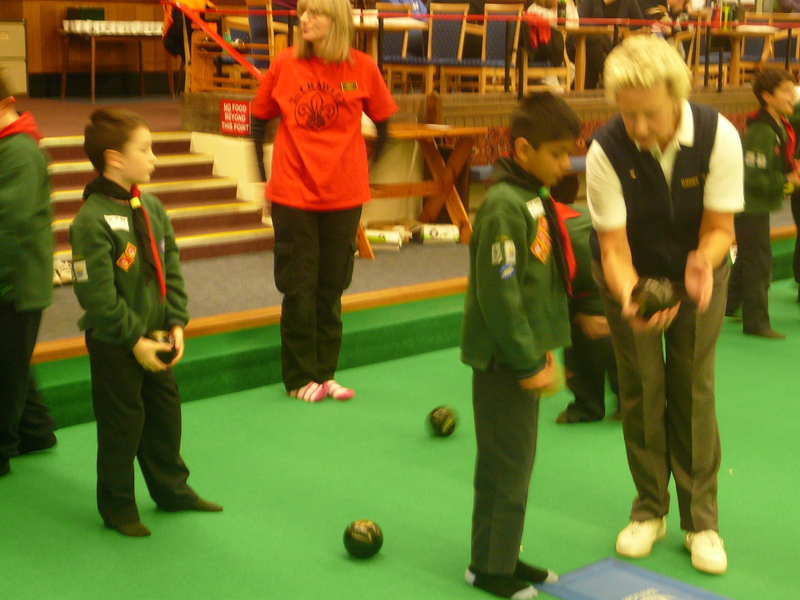 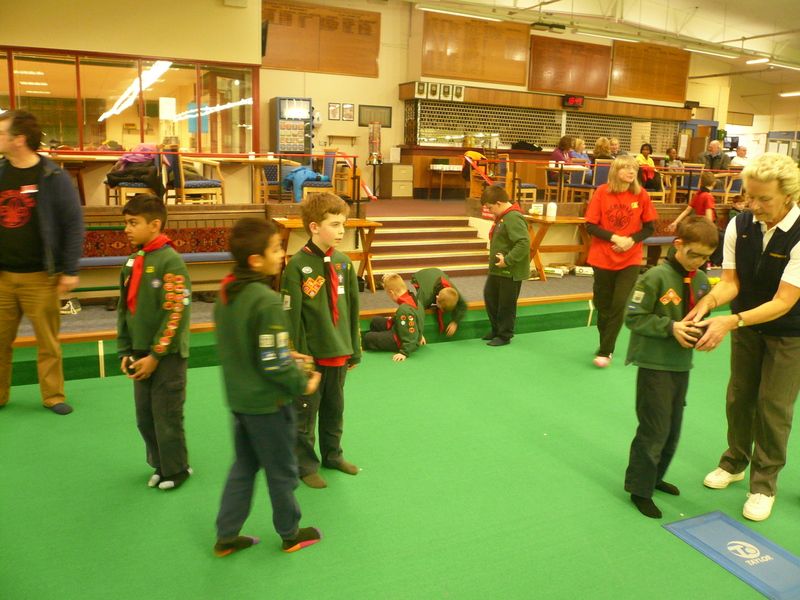 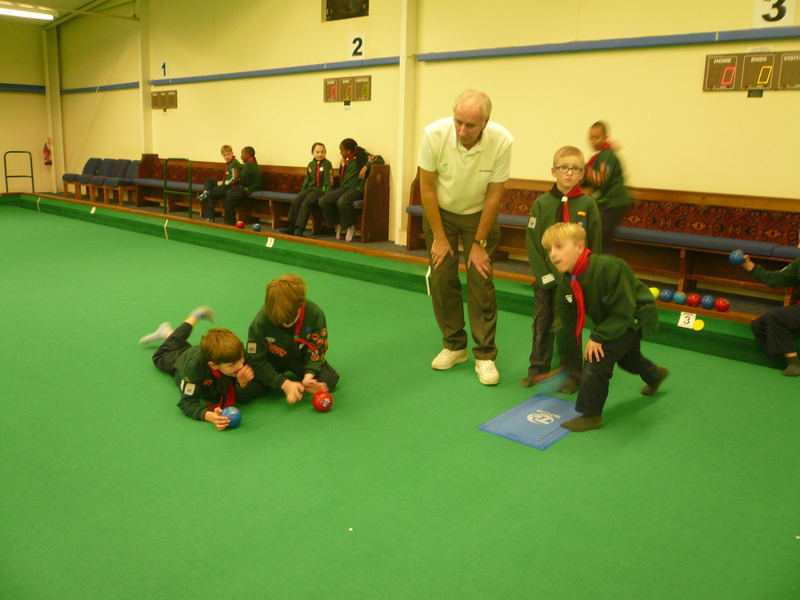 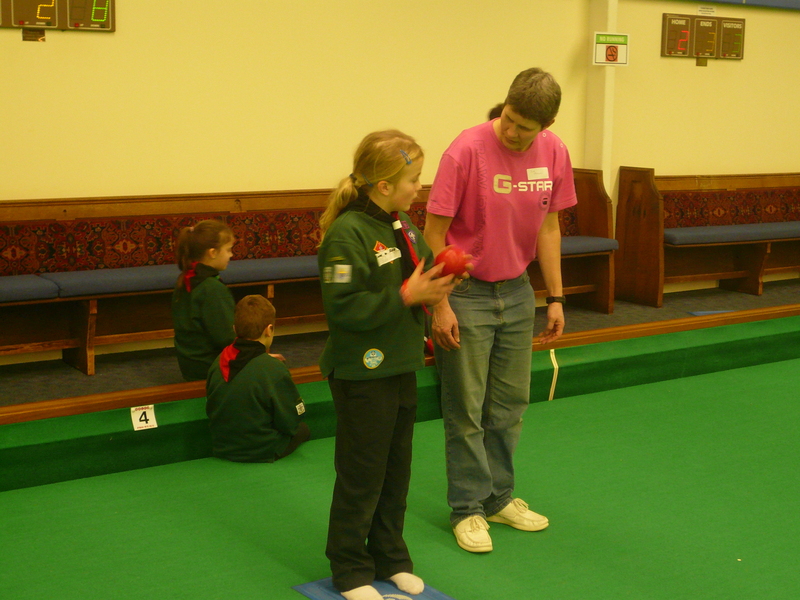 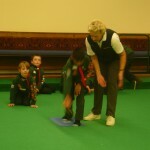 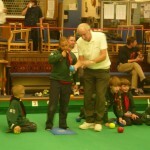 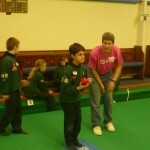 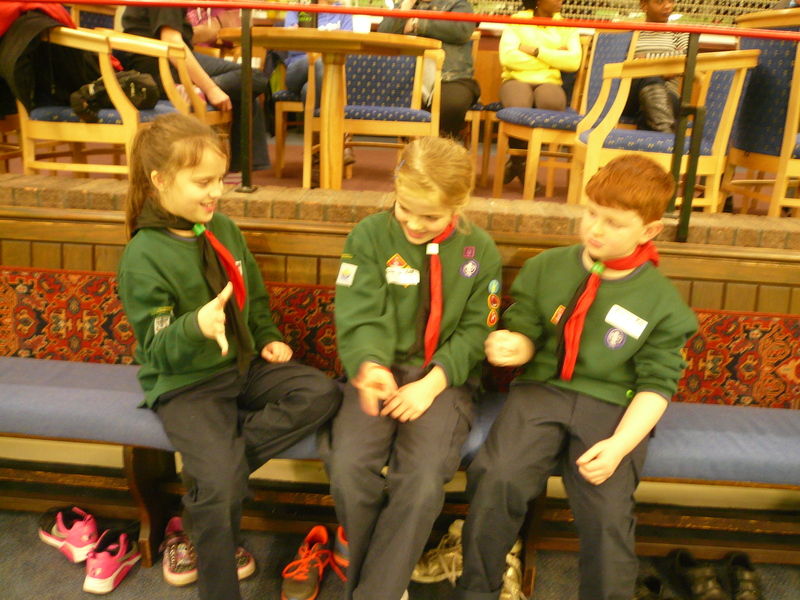 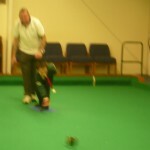 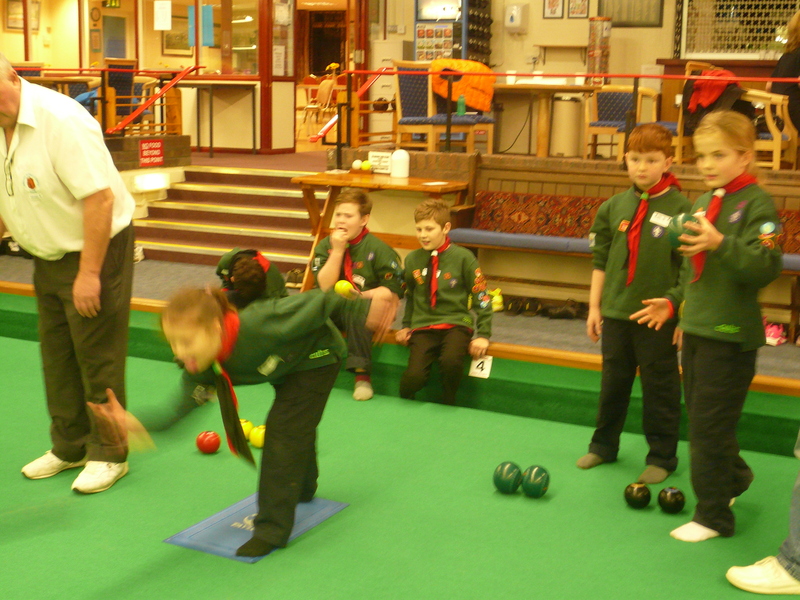 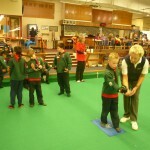 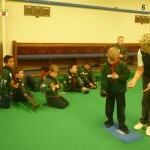 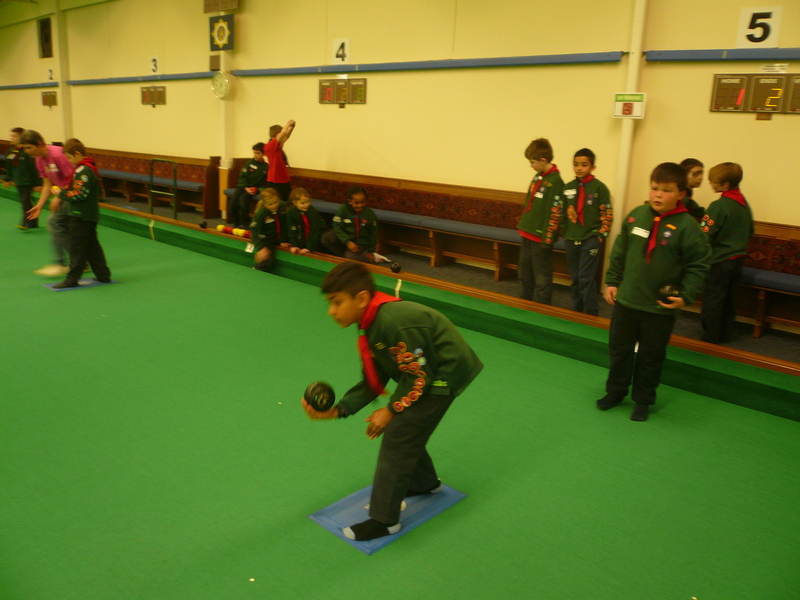 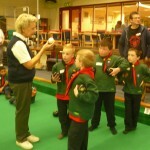 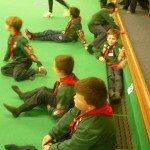 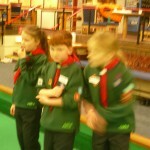 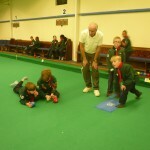 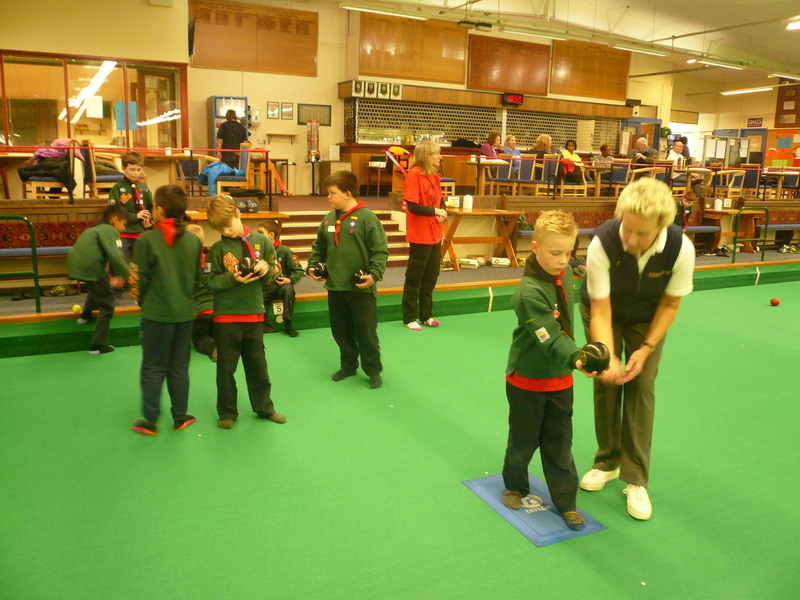 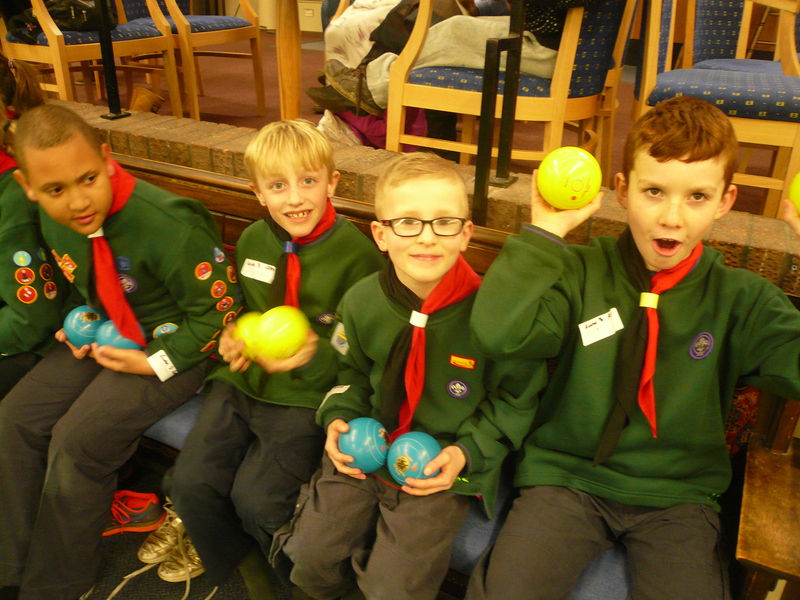 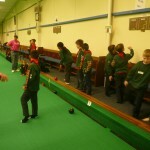 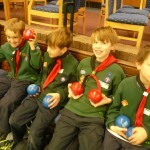 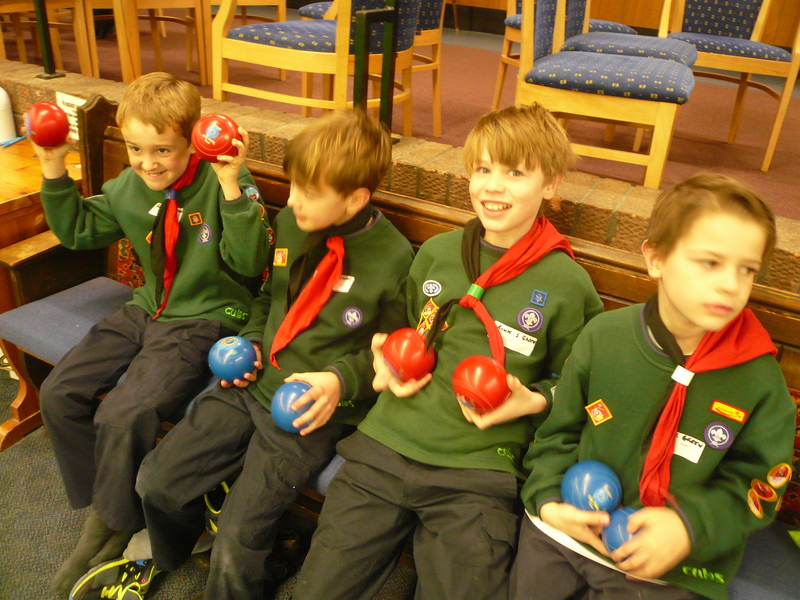 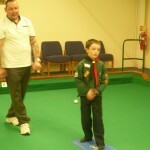 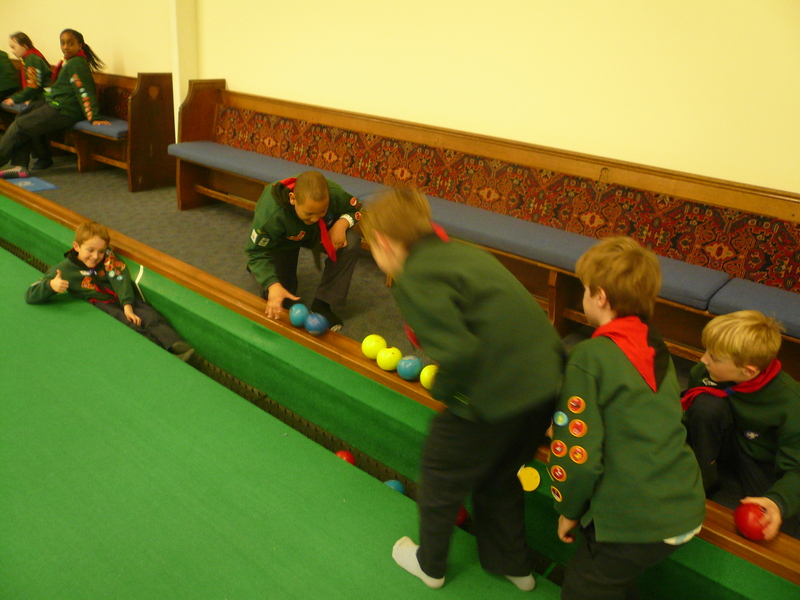 Tonight the Cubs attended at the Grattons Indoor Bowling Club HQ in Pound Hill to learn a new skill. 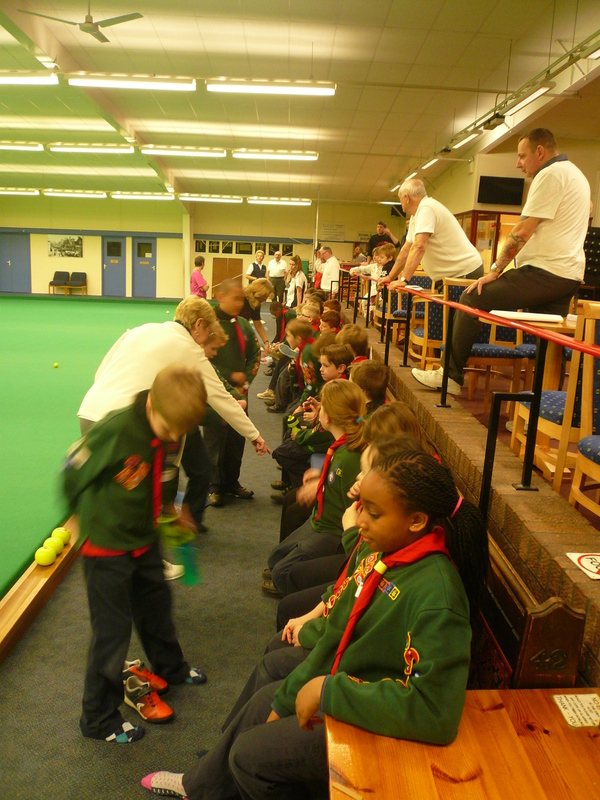 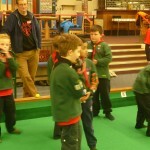 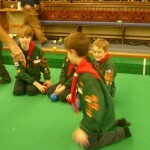 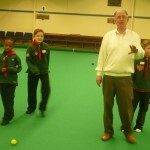 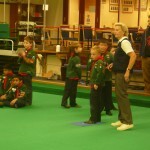 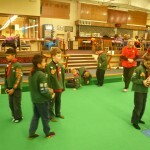 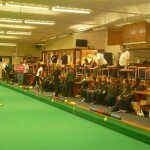 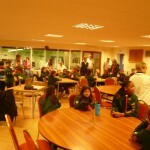 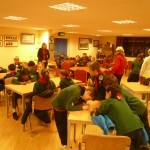 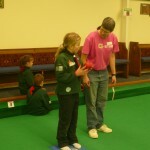 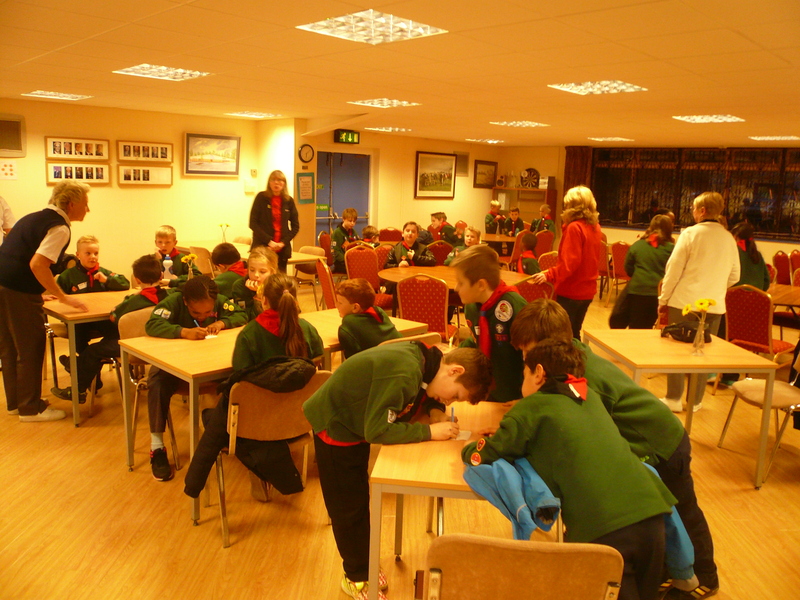 A large group of club members were at hand to teach the cubs the intricacies of the game. 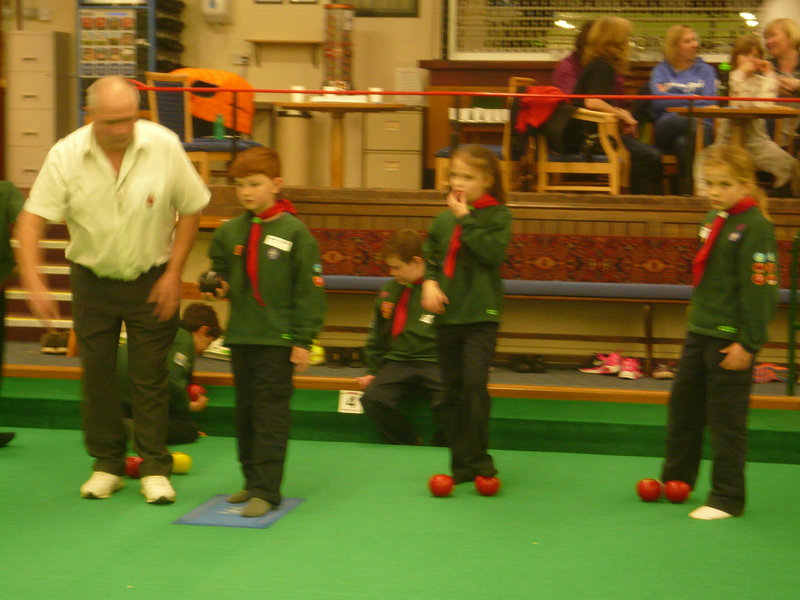 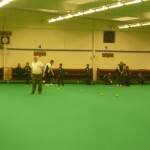 The Pack were divided up into two teams; Reds and Greens. 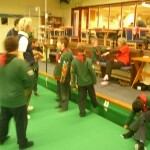 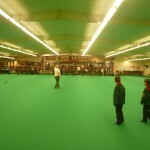 Each group was then further sub-divided and were placed into one of four rinks. 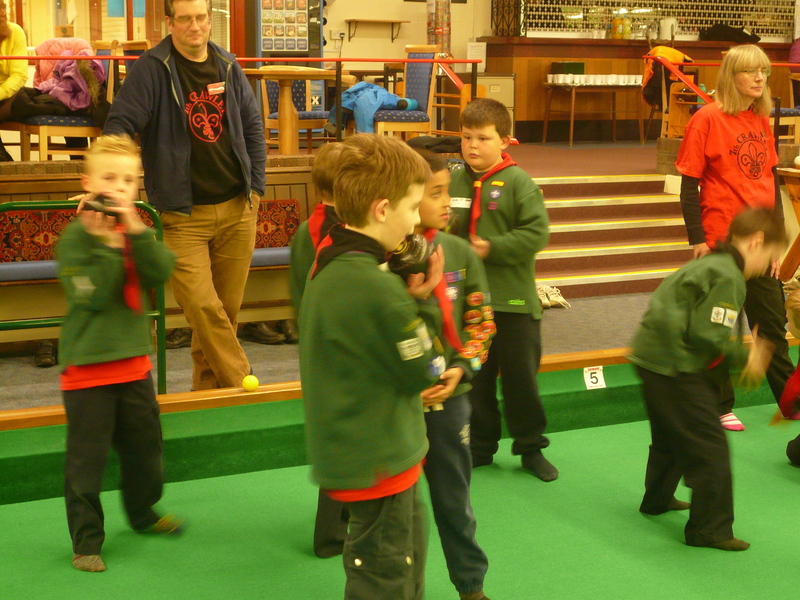 There followed a very competitive but fun evening with many of the cubs giving a very good account of themselves with at least three members actually hitting the jack and scoring highly as a result. 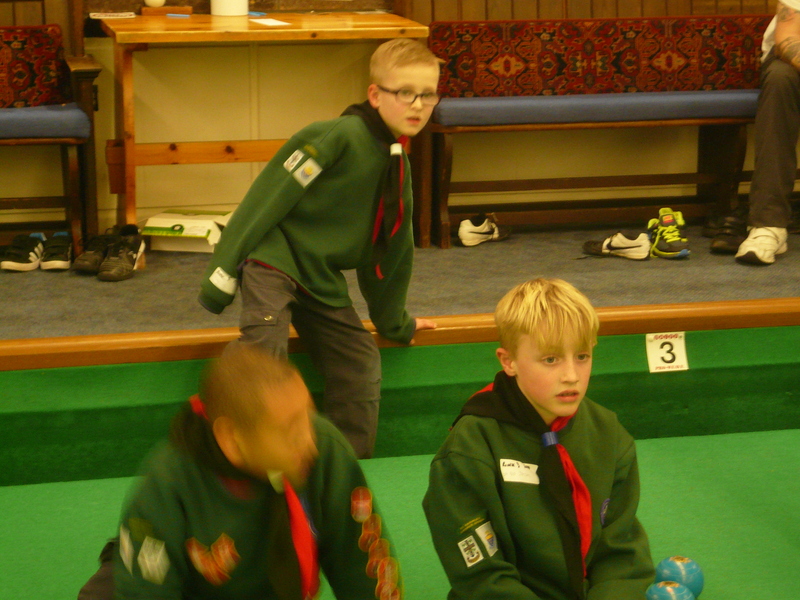 The final score was 15 to the Red team and 5 to the Green team; but no winners or losers in actual fact as a new skill has been learnt by all of our cubs and a really good start towards the requirements of the FITNESS CHALLENGE badge. 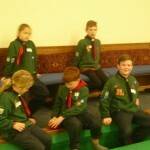 My thanks to Barry Torode and everyone at Grattons for making us feel so welcome and for being very patient and encouraging to the cubs. 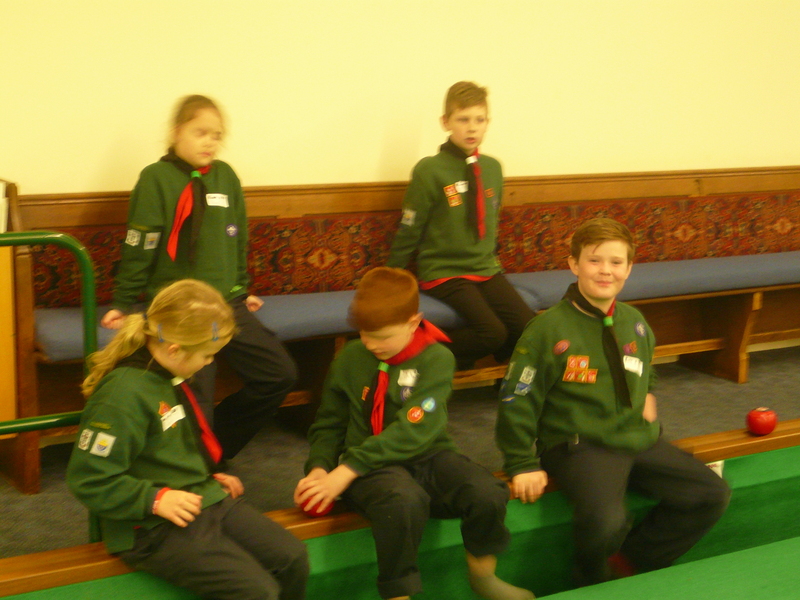 If you would like to learn more about Grattons please visit their web site at http://www.grattonsibc.co.uk/ where you will find contact details and further information.